The executor of a will, also known as the personal representative, is the person who will carry out the instructions in your will when you die, according to FindLaw. The executor is responsible for wrapping up the affairs of your estate, including filing the will with the probate court, paying any debts, distributing the estate's assets and defending the validity of your will if it is challenged, according to FindLaw. When you die, either your executor or the person who has your will may file it with the probate court, according to the American Bar Association. However, your executor must petition the probate court to open a probate claim and to issue letters testamentary, which give the executor the power to pay your debts, distribute your assets and do whatever else is necessary to take care of your property after you die, according to FindLaw. Your executor is responsible for notifying your creditors of your death and for paying your outstanding debts with money from your estate, according to FindLaw. For instance, the executor will pay any bills related to your last illness, as well as your funeral and burial expenses, from the estate's money. The executor is not personally responsible for your debts. Once your estate runs out of money, no more creditors are paid, according to FindLaw. Once all your debts are paid, the executor is responsible for distributing any property left in your estate, according to FindLaw. In most states, the executor may have property appraised if necessary and may pay the appraiser for his services from the estate's funds. The executor is also responsible in most states for filing an accounting of your estate's assets with the probate court before the executor distributes them to your beneficiaries, according to FindLaw. 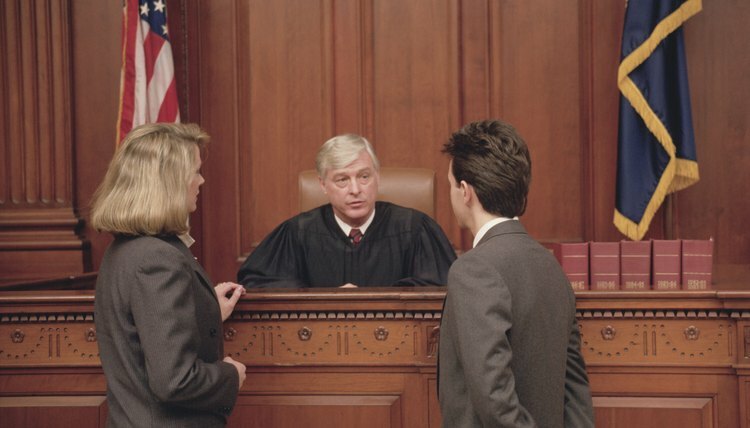 If one of your beneficiaries or another interested person contests the validity of your will in court, your executor is responsible for defending the validity of your will. In most states, your executor may hire an attorney to help her defend your will in court and may pay the attorney from the estate's assets. Common will contests that executors must defend against include claims that you were not competent to make a will, that you were forced or coerced into leaving your assets to someone, or that part or all of your will was forged, according to FindLaw. What Documents Do I Need to Bring to Prepare a Last Will & Testament? You can help your attorney prepare your last will and testament by bringing certain documents with you when you and your attorney meet. These documents will help ensure that your will covers all necessary topics and contains correct information, making it more likely your desires will be carried out after you die. Your will is a legal document that explains how you want your property distributed after your death. If you have minor children, your will may also explain how to provide for them in terms of guardianship and finances. When making your will, consider such issues as whom you trust to carry out your last wishes and/or raise your children, as well as which people or charities should receive your property when you die. What if the Executor of a Will Is Dead?